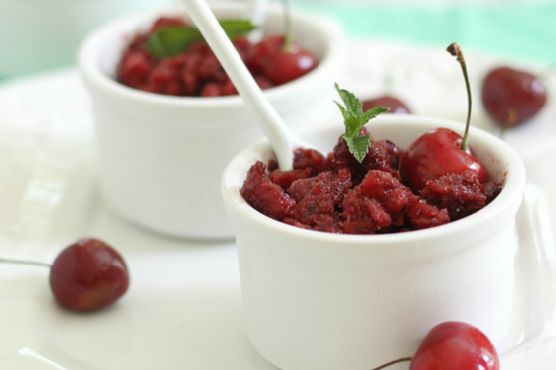 Place cherries in a food processor and pulse until almost puréed. A few chunks is ok.In a small bowl combine lemon, agave and vodka if using with a whisk. Add cherries to bowl and stir together. Pour mixture into a shallow metal dish or pan.Freeze for 1.5 hours scraping with a fork every 15-20 minutes.